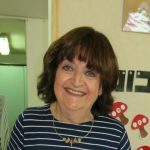 I am a British lactation consultant who made Aliya to Israel three years ago. In the UK, we are used to calling a spade a spade, a breast a breast, and breastfeeding breastfeeding. A practice I was soon to learn did not work in the largely American Anglo community I wished to advertise my services in. Having put an advert in the local “Pirsumit” advertiser as “Breastfeeding Consultant”, and waiting for replies, I was shocked by the first person to call me. Not someone requiring help with a newborn, but an irate woman who yelled at me about how untznius the word “breastfeeding” was. Having thought about digging my heels in on this matter, I decided there was little point in alienating my target market. And so I am a lactation consultant. However when I speak to women one-to-one, I refuse to use the word “nursing”, but always say breastfeeding. If my clients are shocked, they never show it or say anything. 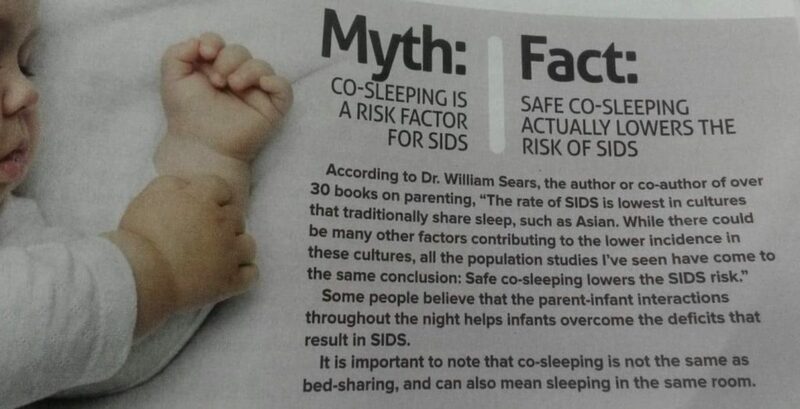 Besides being a writer for Ami magazine, I am also a reader, and a while ago I read in a section of theirs called Myth/Fact, that the myth was that co-sleeping raised the risk of SIDS. The Fact recanted this and said with certain safety features in place, co-sleeping actually lowered the risk of SIDS. I have long been a believer in co-sleeping, so this myth/fact byte was a massive confirmation of my beliefs. I was punching the air and saying YES FINALLY, someone has come out in favor of co-sleeping with safety factors in situ; and then the final sentence completely killed it for me. The sentence that said: Of course co sleeping is not the same as bed-sharing. Of course it is. What else could be meant by co-sleeping? In the countries mentioned where co-sleeping is culturally the norm, and where SIDS is low as a result, co-sleeping is meant to denote bed-sharing, mother and baby. Not just having the baby in your bedroom; although that is demonstrably safer than a baby sleeping in his own room at least until six months of age. I know there will be several people reading this with horror and saying: “But co-sleeping is dangerous! What if I roll over and suffocate my baby! !” I want to preempt those horrified responses with the following. As a breastfeeding counselor in the UK I attended an all-day conference once on this topic. Led by the legendary Suzanne Coulson, the pioneer of biological nurturing and other breastfeeding related topics, she showed us lots of reasons why co-sleeping with the proper safety features in place, was safe and advisable. Either parent is very obese. (remember these are typically cases where two parents share one bed with the baby). Either parent goes to bed drunk or drugged. Parents also share the bed with a dog, cat, or big fluffy toy, or other items that a baby could suffocate against. The mattress is not a firm one, but is possibly a waterbed or futon. This gives more surfaces for a baby to suffocate against. The room is kept too warm; higher than 20c. Baby is under the parents’ covers as the combined body heat would overheat the baby. She also showed us videos taken of mothers co-sleeping with their babies. The breastfeeding mothers curled their bodies into a C shape around their babies, protectively, preventing them from sliding down the bed under the parental covers. The formula feeding mothers did not do this, interestingly enough, but turned their backs on their babies to sleep. Suzanne also told us that some mothers are so scared to drop off to sleep whilst breastfeeding in bed, that they take their babies into the living room, sit down on a squishy couch or armchair to breastfeed him, and fall asleep there. The risks of the baby suffocating against the upholstery are far greater than if they’d both stayed in bed on a cool firm mattress. Babies also “tune in” to their parents’ breathing pattern if they’re in the parental bed. They’re much less likely to suffer sleep apnea there, than in a crib alone in their own room. Of course sleeping close to their parents in the same room can have a similar effect on sleep apnea. Speaking personally, even though I’m a breastfeeding consultant, I only started successfully breastfeeding my babies numbers 5 thru 8. So by the time I’d figured out breastfeeding, I had four older children to look after. I couldn’t afford to be sleep deprived during the day. For me, co-sleeping was a life-saver. 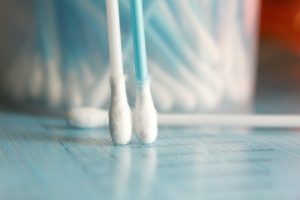 I and my babies slept better, longer and deeper, and my husband wasn’t disturbed; as soon as the baby stirred, I could latch him on, and go back to sleep. No waking up to a howling infant. Another worry is that babies will fall out of the bed. This is very unlikely to happen when the baby is too small to roll over by himself. Once he is older, that can be an issue, but I’m really only addressing the very early weeks and months. Some parents fear that the baby will not want to leave the maternal bed when the time comes. Again, I feel this is simply a matter of stopping the co-sleeping at a time when the baby becomes mobile and begins to realize where he has been sleeping. Personally, I found co-sleeping was a boon until the age of about four months. After that I was relieved to get my bed to myself again! Although some mothers are only too happy to continue past this point, and often call me “for permission” to continue. Of course they can; I’m only saying if you want to get your baby out of your bed, you can. Mothers often don’t really want to. I found after four months (ish) they were no longer sleeping in one position, but wriggling around, kicking me in the ribs, etc, so out they went! I tell all my clients: If co-sleeping horrifies you, and if you’re going to stay awake all night petrified that you’re going to harm your baby by doing it, then it’s not for you. I’m not pushing anyone to do it. But just learning that with the safety factors in place, it CAN be safe, and a lovely way to cope with the early months and sleep deprivation, can reassure many mothers who are “on the fence” about this matter.